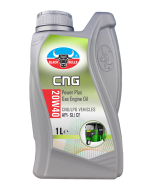 Black Bulls CNG Engine oil Formulated with 100% virgin base stock and multiple additives using latest technology CNG or LNG engines. CNG engine oil provides superior lubrication for both on- and off-road engines for commercial, personal or off-road application or as recommended by OEM. Suitable for all requiring API SL with 20W-50 viscosity grade or as recommended by the OEM. Resists breakdown at high temperatures. Use in ferrous and non-ferrous mills.